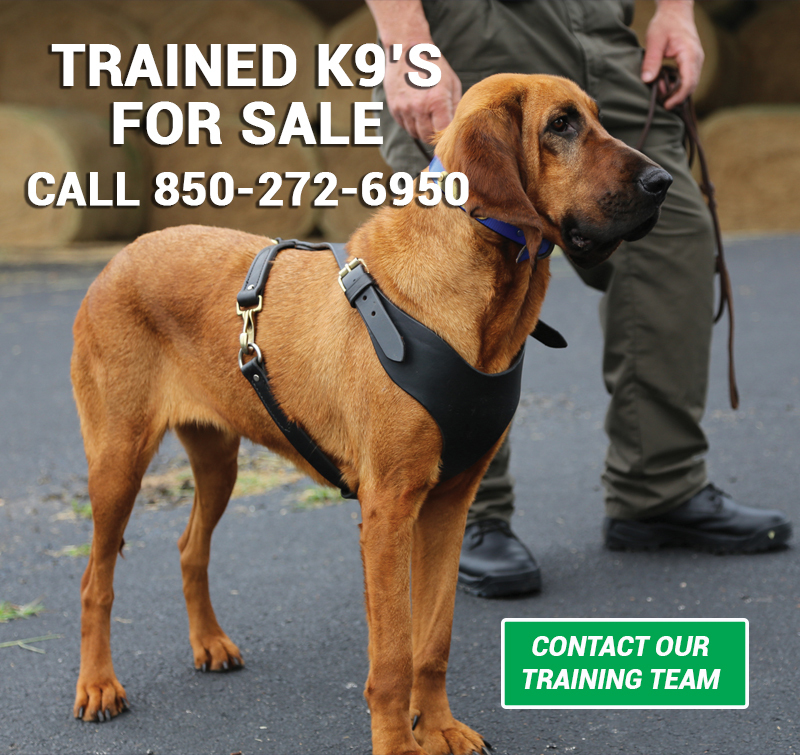 Scent Evidence K9 CEO, Paul Coley, will be heading to Switzerland as an instructor with Mark Brown (UK) at the MANTRAILING ZURICH Mantrailing Seminar 6/20-6/23, 2019. 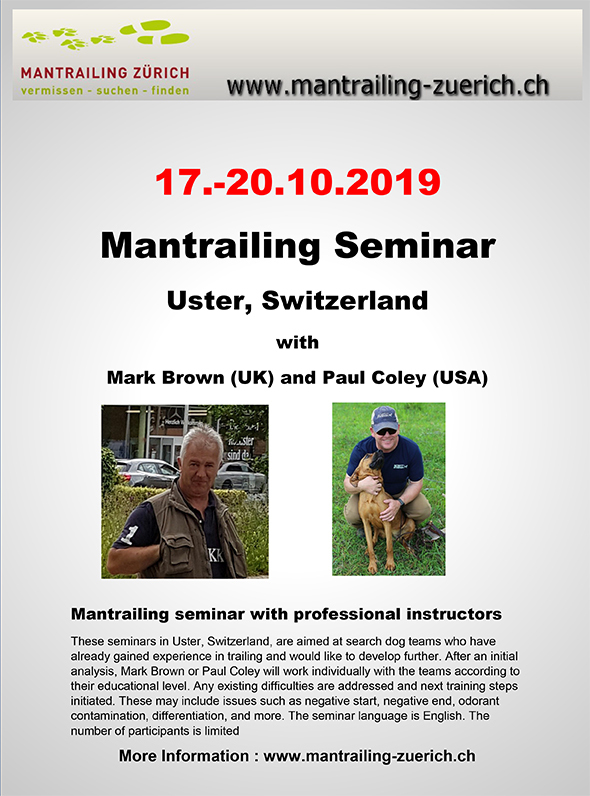 These seminars in Uster, Switzerland, are aimed at search dog teams who have already gained experience in trailing and would like to develop further. 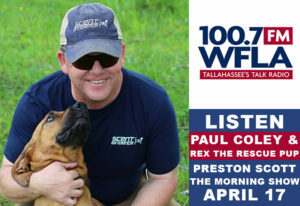 After an initial analysis, Mark Brown or Paul Coley will work individually with the teams according to their educational level. Any existing difficulties are addressed and next training steps initiated. 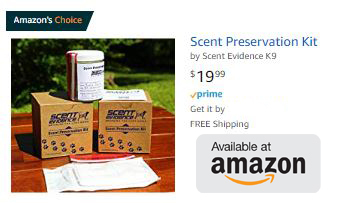 These may include issues such as negative start, negative end, odorant contamination, differentiation, and more. The seminar language is English. The number of participants is limited. 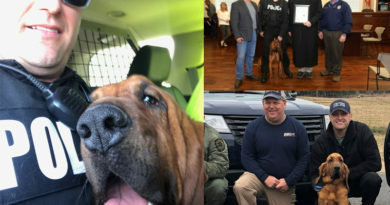 By forging a partnership with Florida State University Emergency Management and Homeland Security, Scent Evidence K9 is able to integrate UAS/drone technology into the K9 Trailing process that creates greater visibility and safer working conditions for handlers.